As part of OUSD’s commitment to drive down operating costs and provide a more sustainable infrastructure, and as a planned Measure J project, the Operations team installed these ecobee units over the summer in every classroom at Topa Topa, Matilija, and Nordhoff schools, along with occupancy and door threshold sensors. 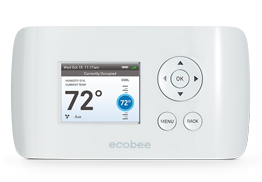 These units provide minute-to-minute reporting, and adaptation, to increase HVAC efficiencies, and drive down costs. Additionally, over 50% of less efficient and failing HVAC units were replaced. 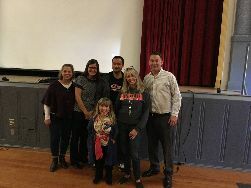 In December Matilija Junior High School hosted local resident and professional diversity speaker Peggy O'Neill, to speak to students and staff about bullying prevention. During an all-school assembly, Ms. O’Neill shared her insights on bullying, inclusion and empowerment. 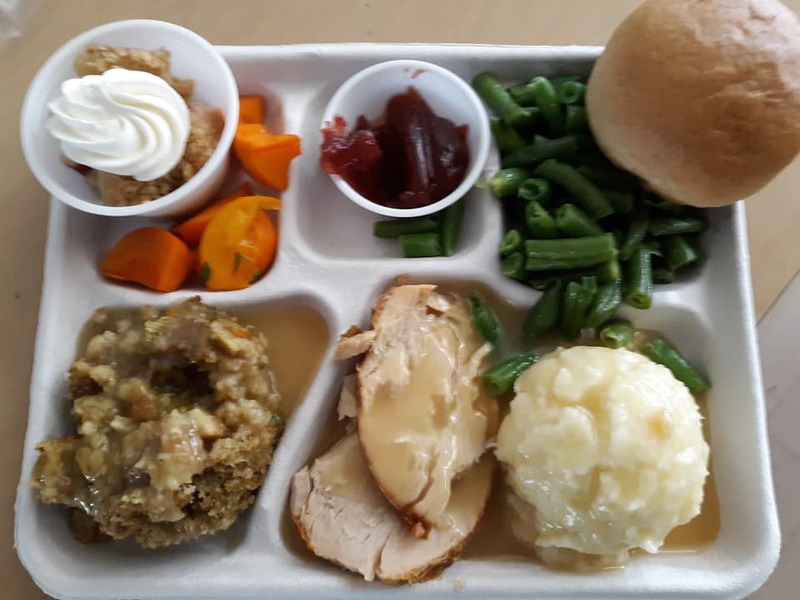 As a child, Ms. O’Neill, a little person who stands at 3’ 8”, was bullied and she used her experiences to present the consequences of bullying from her unique perspective. After her presentation, Ms. O’Neil remained on-campus, through snack, to answer questions from, and to encourage, Matilija’s students. Do you ever drive by Meiners Oaks Elementary school, located on Lomita Avenue, and wonder exactly what the new banner noting “Green Ribbon School” means? 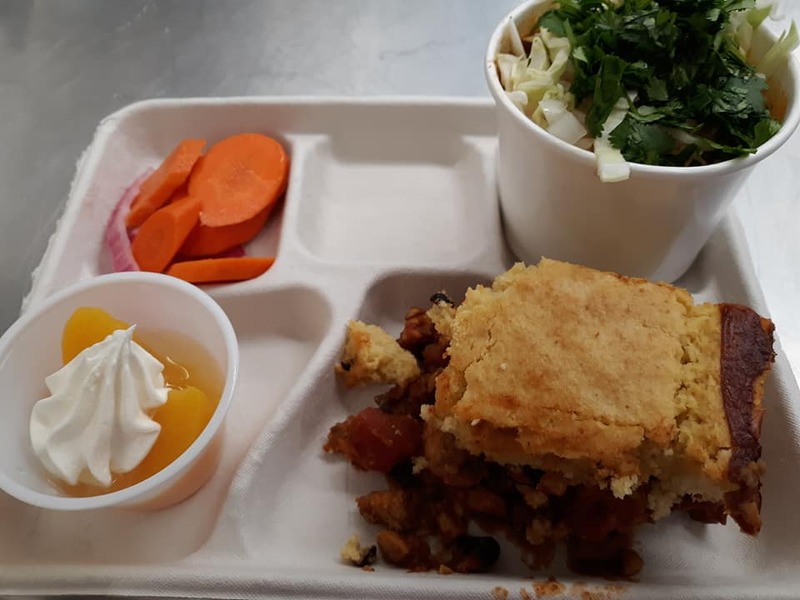 It’s a story that begins in 2007, with an environmental awareness partnership between Food For Thought Ojai (FFTO) and Ojai Unified School District schools to create a District Green Committee. 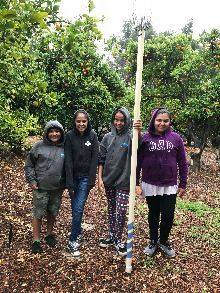 Since then, Meiners Oaks Elementary teacher Janis Duncan, has worked to encourage and inspire her Student Leadership team to focus on environmental projects. Beginning in 2011, Meiners Oaks participated in the Texas-based Green Ribbon Schools (http://www.greenribbonschools.org/) programs, earning multiple awards, and was featured on their website. 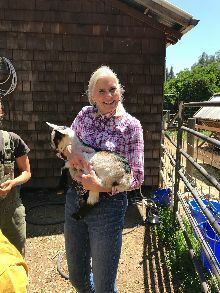 As a result of these efforts, teacher Janis Duncan and FFT Executive Director Lori Hamor were confident in the school’s ability to be recognized as a California Green Ribbon School, and have worked to complete the arduous application (twice!). Meiners Oaks received recognition as a Silver Award in 2017 and 2018. The applications are considered and scored in 3 categories/pillars: I) Reduce environmental impact and costs, II) Improve the health and wellness of schools, students, and staff, and III) Provide effective environmental education, which teaches many disciplines, and is especially good at effectively incorporating STEM, civic skills, and green career pathways. To date, approximately 70 California schools, 22 California school districts have been recognized as Green Ribbon Schools since 2014. Daniel Hernandez, Madison Rogers and Jackson Nash. 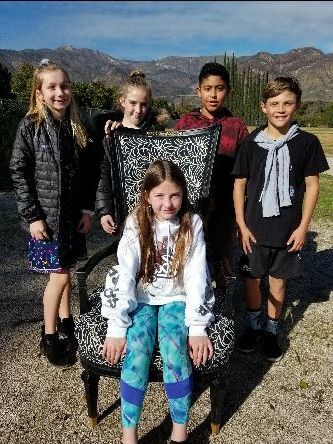 “A special tradition at San Antonio School is The Chair of Distinction, reserved for students whose outstanding behavior exemplifies the characteristics we promote, especially kindness and friendship,” says Robin Monson, San Antonio School Principal. The Chair of Distinction recognition is observed at most school assemblies. These assemblies are an opportunity for the whole campus to meet on a weekly basis and celebrate academic achievements and recognize students for their kind deeds. We sing songs and the 5th and 6th grade leadership teams passes out pencils for students who have been chosen from “Gold Slip” recipients; students who demonstrate kindness or lend a helping hand to other students. For the Chair of Distinction portion of the assembly, one student is recognized through the sharing of stories by teachers or through interactions with other students, usually highlighting the candidate’s leadership qualities. Ms. Monson notes that assemblies are, “… really special. 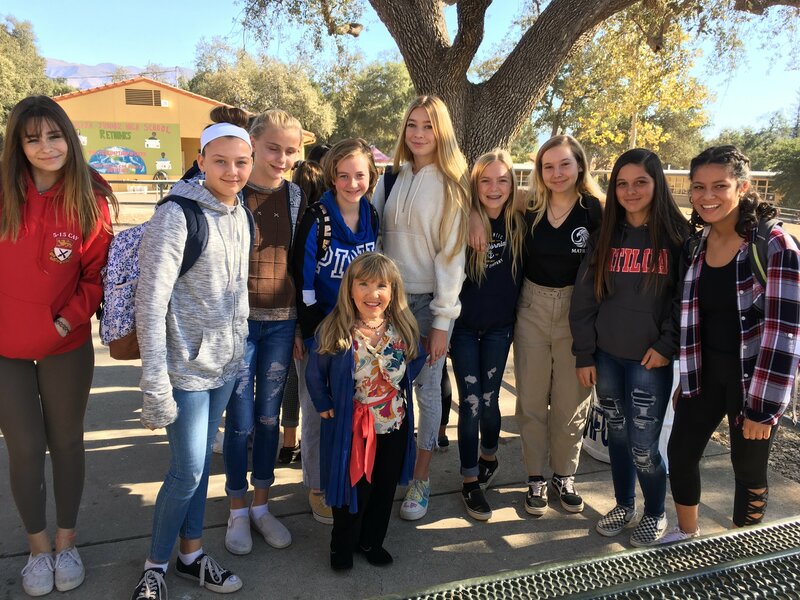 We make a point to invite parents to our assemblies, as … assemblies are a big part of our school culture and climate.” Assemblies are every Friday at 8:15 and PTO often has coffee for parents before the assembly starts. Please contact the San Antonio office at (805)640-4373 or email rmonson@ojaiusd.org for more information. 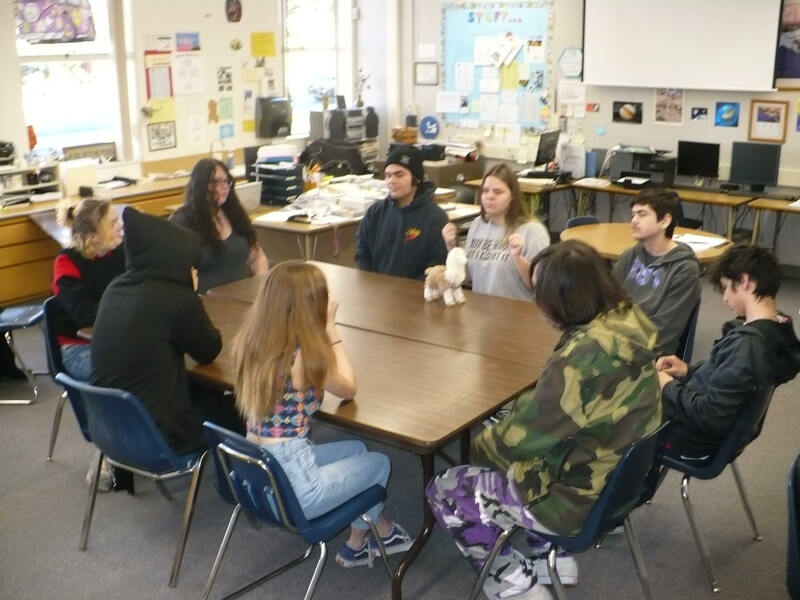 At Ojai Unified School District, Career Technical Education (CTE) Pathways are an important component of outlining next steps for our students to navigate to college and career. The Health Science Academy is a three-year elective program designed to give students who are interested in careers in the Health Science Industry an opportunity to gain specialized knowledge and training while in high school. The Academy prepares students for an entry level career in the Health Science Industry and will allow them to pursue the areas which interest them the most. The HSA also offers students credit opportunities in the workplace, as they job shadow and intern at one or more local health service offices. Nordhoff students may apply to the Health Science Academy at the end of their freshman year. 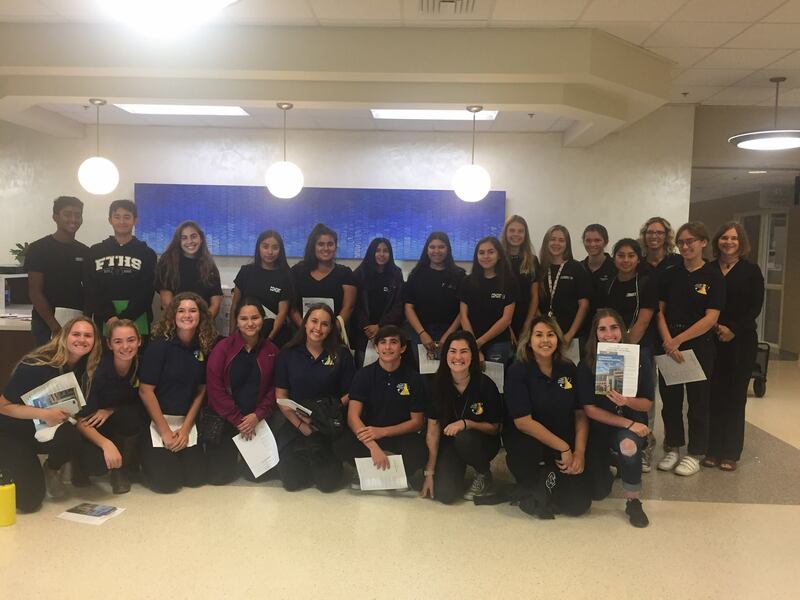 HSA Student volunteers recently helped with the community open house at the NEW Community Memorial Hospital in Ventura. Many of these students plan to pursue careers in healthcare. 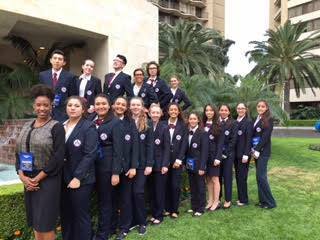 Congratulations Nordhoff HSA! “Restorative Justice, or Restorative Schools, is more about an attitude than it is about a prescriptive process”, says Chaparral’s Principal Becky Beckett. “It reflects a core value of the institution that relationships matter, and that harmful, destructive behavior results from, and causes, damage to relationships”. At Chaparral, Restorative Justice has been a way of resolving conflict for over three years. The two key parts to Restorative Justice are; establishing trusting, respectful relationships among members of the school community, and engaging all affected parties in repairing those relationships when someone has (intentionally or not) caused harm. Dialog Circles can be part of the establishment of an open and positive campus climate. Chaparral staff have received training in running Circles, and they continue to add to their knowledge by seeking on-going training. Last year’s Democracy (leadership) students were trained to run Circles, and every other week they invited groups of students to participate. The concept was to construct the groups such that every participant was with at least one student with whom they were comfortable, and at least one with whom they’d not yet interacted. The goal was to get students to become more aware of people outside of their immediate social groups. Students had a very positive response to this experience. 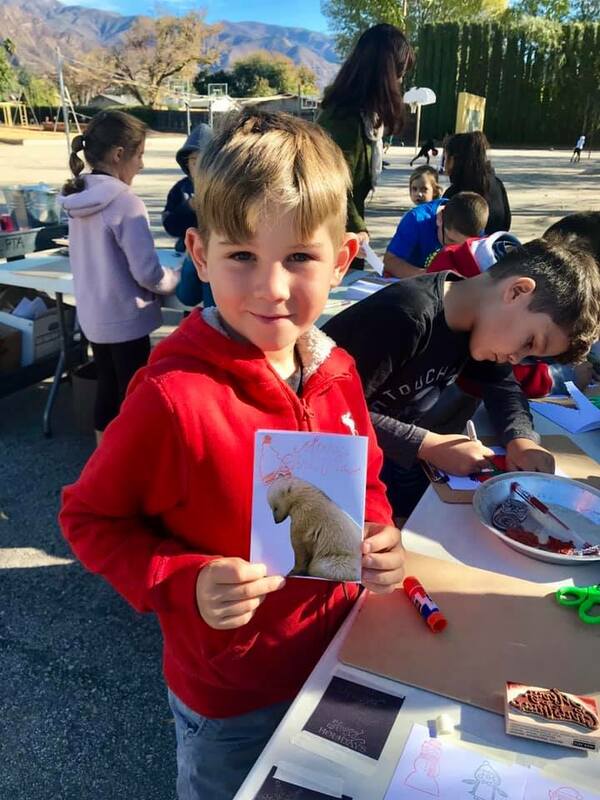 Topa Topa Students (l) Oliver Tallerico and Ethan Beirne creating beautiful, hand-made Christmas Cards. (l) MiraMonte students Logan Katz, Ari Larrew, Riley Katz and Bryce Parent (r) Thank you letter from Paradise Unified School District. 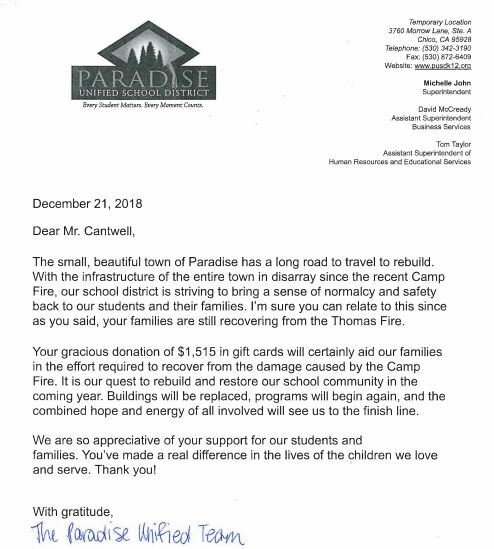 In December, Mira Monte students and staff sought ways to support the students of Paradise, a town ravaged by the devastating Camp Fire. 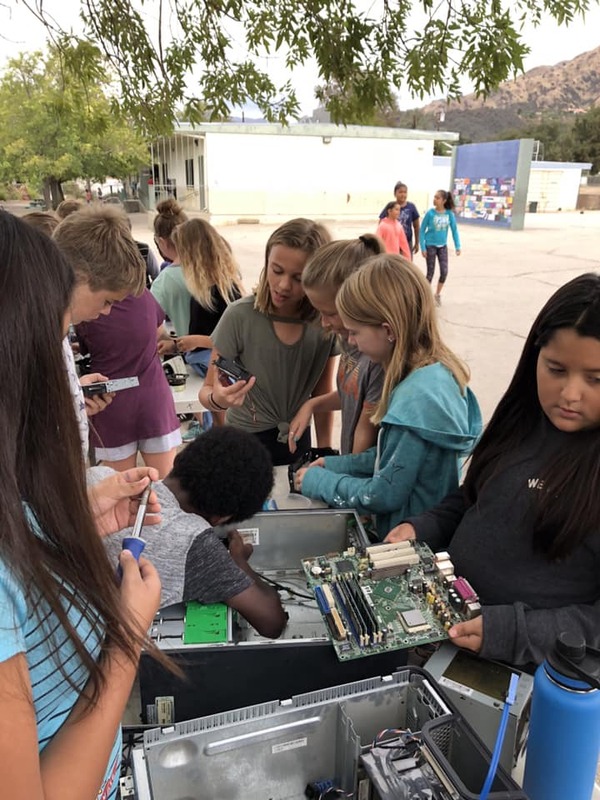 Because the Mira Monte students had experienced a similar situation during the December 2017 Thomas Fire, they rallied behind this project and asked Principal Katherine White the best way to help. Soon thereafter, the “Pay it Forward” fundraiser was launched. 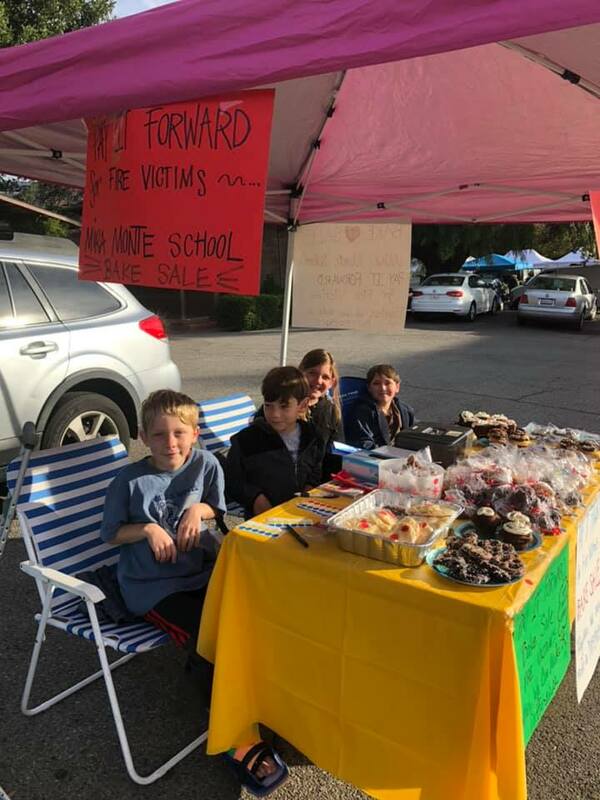 The project began with a baked goods sale at Ojai Farmer's Market, benefitting Paradise and Las Virgenes School Districts. The bake sale produced over $418, and a separate fundraiser – open to the entire OUSD family - garnered over $1515 in gift cards.